Did you know that military personnel and their loved ones seeking help through Give an Hour are given a list of volunteer licensed mental health providers located near their homes or bases and make their own appointments directly with the providers? There are no claims or forms to fill out. This system provides convenience, flexibility, privacy, and almost instant connection with a provider instead of long waits that could exacerbate problems. Last year we estimated that each hour of counseling was provided for a total cost of $17 per hour. Surprise your Major League Baseball fan with an experience they will never forget. 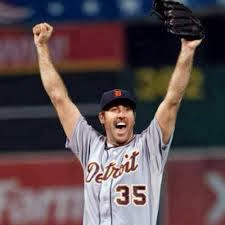 Contribute $10 to Give an Hour’s online campaign and help raise funds for our #military and #veteran communities and for your chance to meet Justin Verlander during the Tiger’s pre-game batting practice. Batter up! 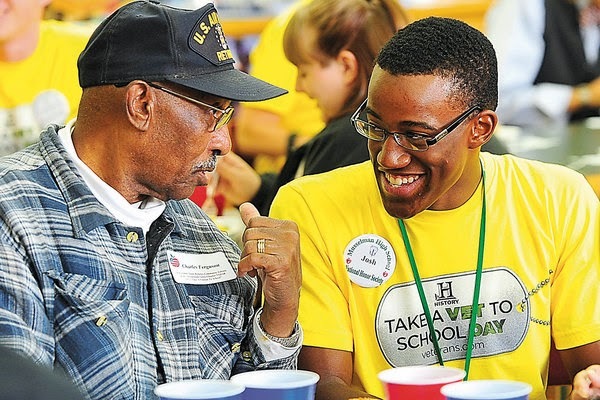 The latest numbers are in and we are proud to announce that our volunteer providers have given more than 104,000 hours in mental health services to veterans and their loved ones! Thank you to all our wonderful providers! On Veterans Day today, Red Border Films will present Healing Bobby, the latest project by TIME’s new documentary film unit. Directed by award-winning photojournalist Peter Van Agtmael, the film traces the life of Bobby Henline, an Iraq War veteran who sustained burns on more than a third of his body after his Humvee hit an Improvised Explosive Device outside of Baghdad. After two weeks in a coma and months of grueling rehabilitation, Henline turned to stand up comedy to help ease the pain, using his act to bring comfort to veterans suffering from PTSD and the families whose loved ones never made it back from war. 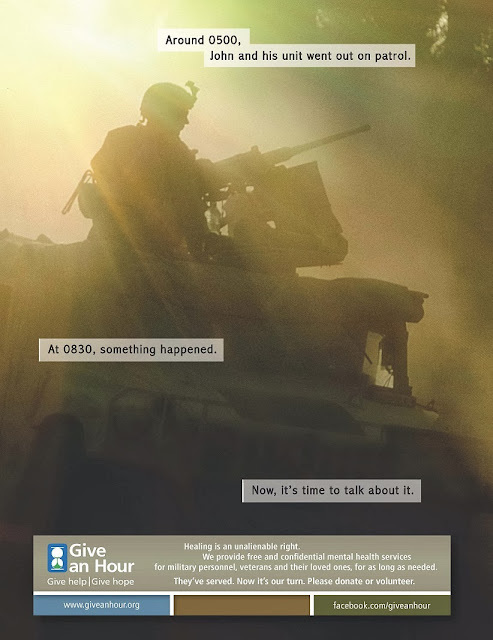 Give an Hour is proud to announce that we will now offer secure and confidential mental health care sessions for #Helpouts, Google's new service for getting help over live video! 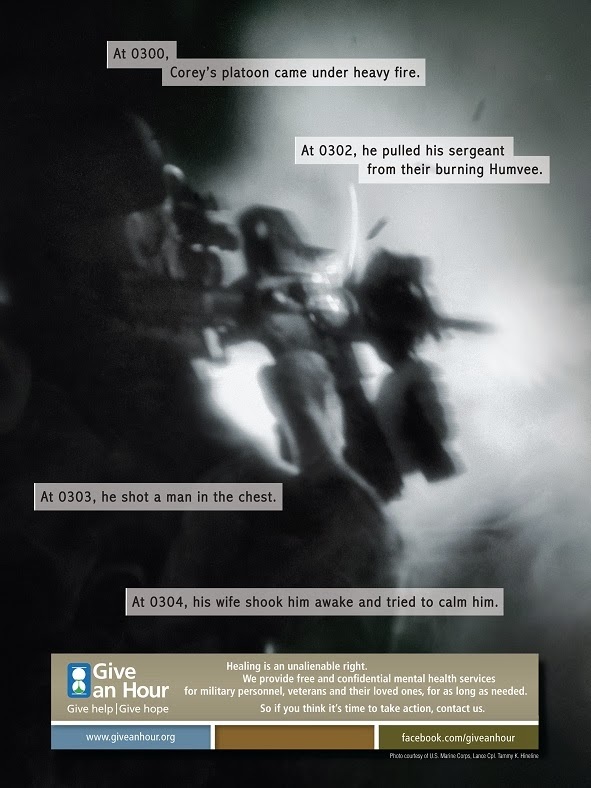 Are you part of a combat-injured family? If so, you're invited to participate in a research study! FOCUS-Combat Injured is being conducted at Walter Reed National Military Medical Center r and San Antonio Military Medical Center and surrounding metro areas (MD, DC, VA, TX). Participants receive compensation, Resource Guide, access to an extensive web site, and family skill-building sessions. If interested, please visit www.cifamilies.org/ and click on Participate in the Study to take a brief screener. Or contact us at 301-295-1102 or info@CIFamilies.org. FYI --The following document lists which VA services are impacted by the government shutdown and those that are not. CALL TO ACTION - NBC News is asking every American to share their dreams as the nation celebrates the 50th anniversary of the March on Washington and Martin Luther King Jr.’s iconic “I Have a Dream” speech. You still have time to submit your dream through Wednesday, August 28. Celebrities, politicians, journalists, thought leaders and all Americans are invited to take part in #DreamDay by completing the statement “I Have a Dream that____.” NBC News will spotlight the messages across its various shows and digital platforms, sharing the dreams of the nation with millions. The text, photo and video messages can be submitted to NBC News using social media platforms such Twitter, Facebook, Instagram and Vine, with the hashtag #DreamDay. A curated collection of the submissions will be featured on “TODAY,” “NBC Nightly News,” with many thousands of dreams spotlighted athttp://NBCNews.com/DreamDay. NBC’s owned and affiliate stations will also engage their local communities to take part in the effort. Save 25% on August 24th! 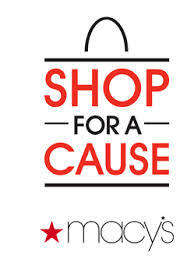 Since 2006, Macy’s Shop For A Cause Event has partnered with non-profit organizations nationwide to raise more than $45 million for their ongoing charitable efforts. This is your chance to be part of this monumental event at the Macy's in your hometown on Saturday, August 24, 2013. 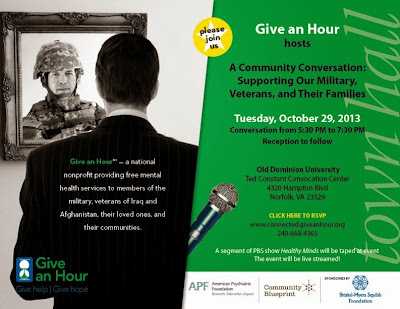 Give an Hour is proud to be one of the charity partners. Help to support our mission of providing free and confidential mental health services to military, veterans and their families by purchasing your $5 shopping pass using the link below. Each $5 pass entitles shoppers to 25% exclusive savings in every Macy's store and Give an Hour keeps 100% of the proceeds from the sale of the shopping passes. Join Macy’s and Give an Hour and find the magic of giving back! Give an Hour will once again fly over Times Square this summer from mid-July to mid-October. 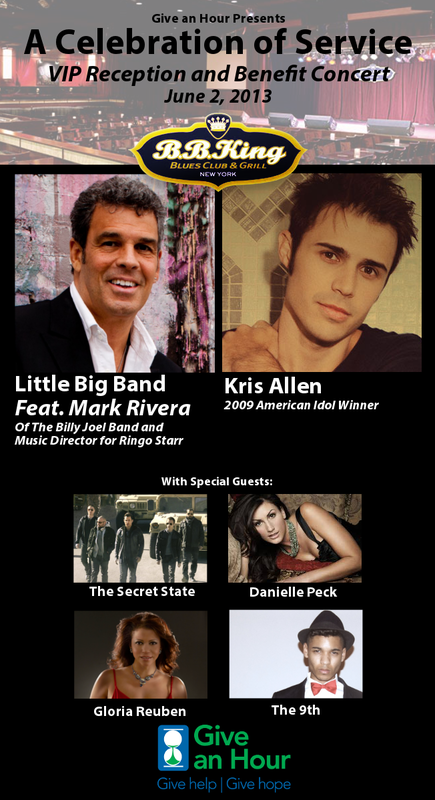 Our ad will be on the jumbo tron on 42nd Street between 7th and 8th Avenue. And will run once an hour. Let us know if you spot it! $3 million goal reached for Macy's/GotYour6 Campaign! The results from the Macy's American Icons campaign with our friends at Got Your 6 are in.... we are proud to announce, thanks to all our supporters and Macy’s shoppers, Macy’s reached the goal and have raised an astounding $3 million for Got Your 6, their nonprofit partners and our veterans! A BIG thanks to Macy’s for making this all happen. Now, that’s the magic of Macy’s. Ever wish you could attend a conference just to roam around the exhibit hall? Well we’re bringing it to you! 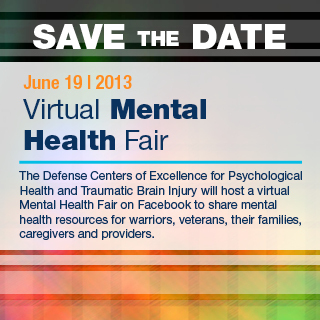 Join Give an Hour with DCoE - Defense Centers of Excellence on Facebook on June 19 for the first Virtual Mental Health Fair where you can virtually roam booths, gather useful information and even live chat. Stay tuned for more information. Washington, DC – U.S. Senators Kay Hagan and Jim Inhofe today announced growing support for their bipartisan amendment to reinstate the Tuition Assistance Program for servicemembers. Prominent national groups including the Military Officers Association of America (MOAA), American Legion, Marine Corps League, American Military Retirees Association, AMVETS, Veterans of Foreign Wars (VFW), Non Commissioned Officer Association (NCOA), and the American Association of Community Colleges (AACC) have endorsed the amendment. Other endorsements include local community colleges and families personally affected by the discontinuation of these funds. Due to sequestration, the Air Force, Army, Coast Guard and Marine Corps have suspended beneficial Tuition Assistance funds that are designated for servicemembers. "Around 60 percent of our men and women who join our all-volunteer Armed Forces do so in order to pursue a higher education," said Inhofe. "This is a moral issue; not a partisan issue. Sen. Hagan and I have heard from colleagues on both sides of the aisle, countless military families and veterans, as well as organizations concerned and alarmed by the abrupt end to the program. While we must address our nation's challenging fiscal crisis, we must establish priorities with the resources we do have. We owe it to our brave men and women in uniform for this amendment to be voted on and included in the Senate Continuing Resolution." For a copy of the full NCOA letter, please click here. For a copy of the full VFW letter, please click here. “We thank Senators Inhofe and Hagan for their work on behalf of the men and women in uniform and for their attention to this important matter,” said an American Legion spokesperson. "Providing those who serve with assistance to pursue educational interests has implications well beyond the opportunity to earn an advanced degree. Of course our service members gain knowledge and expertise when they pursue higher education. They also gain confidence, self esteem and pride – all of which serve to improve emotional well being, increase the likelihood of successful reintegration and smooth the transition to civilian life." “I wanted to extend my gratitude on behalf of the military spouse community for Senator Hagan’s commitment to restoring the Tuition Assistance program for our troops. Service members have valued the opportunity to pursue their education since World War II and it has allowed our brave heroes the opportunity to achieve their degrees while courageously protecting the freedoms of our Nation,” said Mrs. Strzalkowski. “The suspension of the Tuition Assistance program for three of our branches is appalling and a hurts morale in our military,” said Mrs. Reynolds. “I am pleased to know that military families have a voice in Senator Kay Hagan. I applaud both Sen. Hagan and Sen. Inhofe in their efforts to maintain Tuition Assistance, and I vow to support this type of legislation because it keeps our military strong." In the 2012 fiscal year, approximately 300,000 servicemembers participated in the Tuition Assistance Program. In the same time period, more than 50,000 degrees, diplomas or certificates were earned by active duty servicemembers enrolled in the program. The decision exempts those already receiving aid, but prevents servicemembers from submitting new requests for the assistance. Last week, Senator Hagan wrote a letter to Defense Secretary Chuck Hagel urging reconsideration of this decision. Please click here to read the letter. Social media has captured the audience of all ages in the 21st century. From keeping up with old friends to following your favorite celebrities or organizations, social media has made a huge impact on society. The nonprofit world has caught onto this sensation and has made its presence known. As of 2012, 98% of nonprofits have a Facebook page and 74% have a twitter. Using these websites spreads news not only with ease but also in a speedy manner. Not only is a good source of spreading the word, but also essential in fundraising and receiving donations. The nonprofit world has recently started Giving Tuesday, which follows Black Friday. #GivingTuesday is a new phenomenon where people support organizations that they value. Spreading the mission and has become prevalent in the nonprofit community and is here to stay. Give an Hour has also made strides in this community by creating a Facebook page, Twitter account (@GiveanHour), Google + page, a Pinterest account and this blog. Take a moment to check out these pages. Also, in order to spread the word about our organization and what we do, please share our posts on whichever social network you use. We thank you for your continued support and dedication to the Give an Hour mission. Dr. Kent Corso on Voice of Warriors Talk Radio! Dr. Corso from Give an Hour will be on Voice Of Warriors talk radio program this Tuesday evening 3/12/13 at 7pm EST. 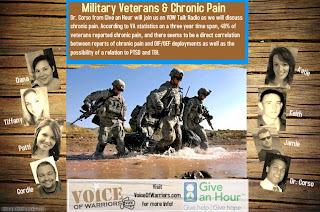 On this episode of VOW Talk Radio, Dr. Corso from Give an Hour will join VOW as they discuss chronic pain. According to VA statistics on a three year time span, 48% of veterans reported chronic pain, and there seems to be a direct correlation between reports of chronic pain and OIF/OEF deployments as well as the possibility of a relation to PTSD and TBI. Tune in to hear Dr. Corso discuss the causes and ways to reduce chronic pain. Give an Hour Launches Got Your 6 Initiative to Educate 100,000 Students in Mental Health Disciplines on the Unique Issues of Veterans and Military Families; National Mental Health Associations Support Effort! Please share!